*A la Carte items are based on market price. Submit a Free & Reduced Application ONLINE through QuikApps! 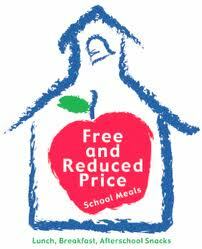 Please visit https://triway.payschools.com to apply for Free or Reduced meals online. Follow the prompts to continue through the application process. Please click the link below for instructions on how to apply using QuikApps. Our online payment system has recently changed from PayForIt.net to PaySchools Central. If you already had an account through PayForIt.net the switch should be seamless, meaning your children should still be linked up and preferences and payment types should automatically be carried over as well. You should login to PaySchools Central with the same login information that was used with PayForIt. Please take a few moments to familiarize yourself with this new system and to verify your account information. Should you have any questions or need further clarification or assistance, please contact PaySchools Central by clicking the "Help" link on their home page, or you may contact Melissa Snyder in the board office at 330-264-9491. To set up a new account, please click "Register" at PaySchools Central and follow the prompts. You will need your child's student identification number-- your child's school secretary can provide this to you. Each child in your family can be set up on the same account. When money is added, it typically appears in your child’s lunch account within 2 hours. If you have any questions, please contact Melissa Snyder or Sue Kruse at 330-264-9491.